Do you have a young dog who is shy around other dogs, and would benefit from some controlled interactions with other dogs? Or perhaps they need to learn a bit of self control so they can greet calmly and appropriately. With lots of space to go for a walk in our 8 acre field, your youngster will choose whether or not to interact, and we’ll be on hand to ensure it’s positive experiences all round. 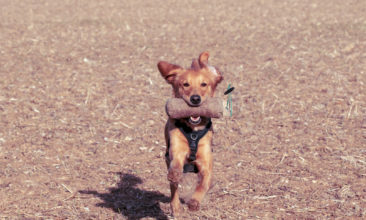 You’ll learn how to spot when your dog wants to greet, and when to give them more space. You’ll also learn some techniques for preventing unwanted advances from other dogs. 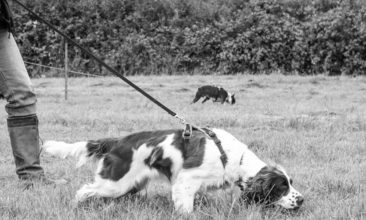 This is not a puppy play session – dogs will be on and off lead as most appropriate for the needs of the group. Please note: The Junior Choice Club is for dogs UP TO one year old. 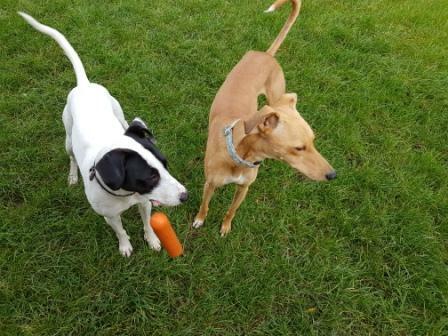 This is not suitable for dogs who are aggressive towards other dogs – see our Sociability Group instead – but is aimed at younger dogs who need to boost their positive experiences with fellow canines. Calm older dogs will also be in the group. The group is lead by Sian Ryan and / or Calum McConnell.